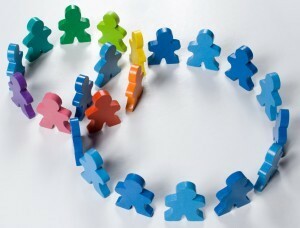 The success of GNL depends on finding a good partner and establishing good communication/cooperation with him/her. This is all the more critical since you will be effectively modelling good intercultural communication and collaboration to your students throughout the exercise. Finding the right partner, working through the details of the collaboration and creating the online materials necessary can take some time; it is recommended you start at least a semester in advance. The most convenient way of finding a partner is to think about your own professional contacts through research, conferences and past relationships to other institutions. Similarly, the professional contacts of other faculty in your unit can be another source. You can also find out which universities your students have gone on exchange to, look at their course offerings and if you see a course that seems compatible with yours, contact the professor to explore possibilities. York International (York University’s Exchange Partners) might be able to help with this. Time zone and available technology will affect whether students can interact synchronously or whether asynchronous activities are best and institutional scheduling conflicts may make certain kinds of collaborations more difficult than others. Be attentive to these challenges and plan accordingly. You might want to seek out partners from programs with the same language of instruction but in some countries, the language of instruction might be widely spoken outside the classroom. In cases where English is not well spoken, there might still be enough fluent speakers in a class for a GNL to work. And an emphasis on visual media over text can help to overcome language barriers. Pay attention to the language proficiency for each group. Will any students require language or literacy support? Is that support available to them?